Seaside Pearl Farmgate Winery is located in peaceful country setting of Mount Lehman, the gateway to Fraser Valley Wine Country. We’re a small Estate Winery, a place where we cultivate, create and share our own world-class wine with family and friends. While exploring potential locations for an Estate Vineyard and home site, we came across Mount Lehman, a peaceful rural community. 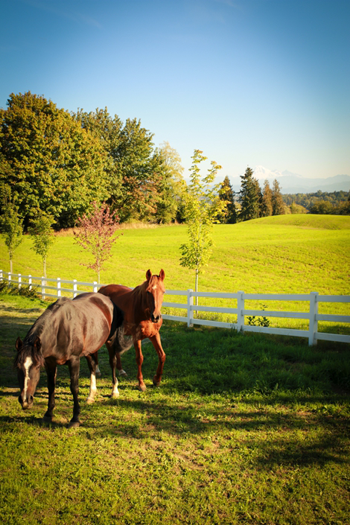 Built by pioneering families in the Fraser Valley, we were captivated by Mount Lehman’s spectacular views, and incredible charm. 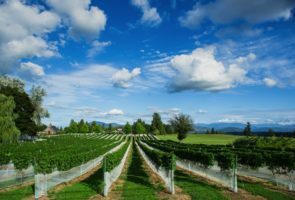 The Fraser Valley is not just a great place to make premium cool climate wine, it’s also breathtakingly beautiful, ringed by mountains, between two plains just south of the Fraser River with lines of grapevines and awash with golden light, and it’s less than an hour’s drive from Vancouver. Surrounded by rolling fields, flowers, trees, and quiet country roads, Seaside Pearl remains our home and our heart. We cherish our vineyard, not just for the beautiful quality grapes we grow, but also for the tranquil natural beauty of the property. 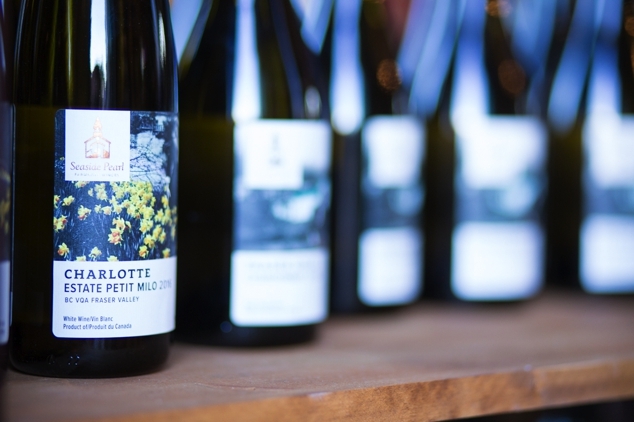 Crisp breezes, legendary views and brilliant sunshine meet to create an outstanding terroir on a hillside overlooking the magnificent Fraser Valley. The deep, fertile soils and gentle south facing slope serve as an ideal location for growing premium wine grapes. We’re open all year round, and it’s never too early to start planning your visit. Stop in and try our exciting new Reserve Petit Verdot, Pinot Gris, and our Red Blend, along with a delicious Sparking wine. Our vineyards and the panoramic views reflect in the windows of our beautiful chapel, our on-site retail space for Seaside Pearl. 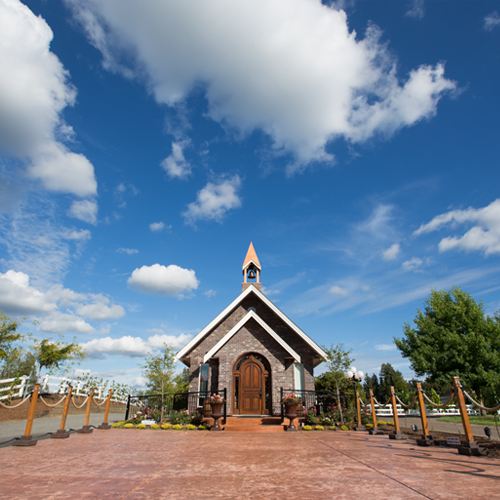 The copper-spired chapel is open daily for tastings that highlight Seaside Pearl’s portfolio. We are thankful for the opportunity to pursue a dream—to cultivate, create and share the wines we love. We invite you to join us on this journey and experience the Mount Lehman lifestyle with us either in person or in a glass! 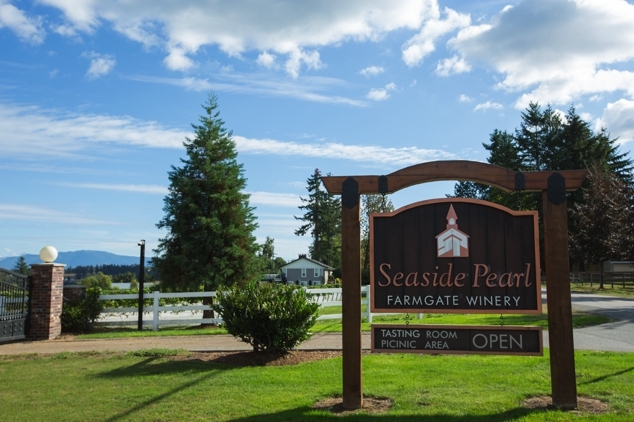 Seaside Pearl Farmgate Winery is a hidden gem nestled in the heart of the Fraser Valley Mount Lehman area. 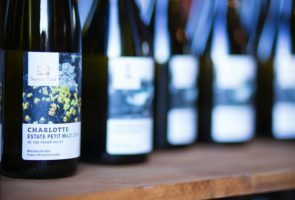 We are a family-owned and operated winery passionate about crafting small lots of artisanal wines. Our wines are of cool climate with outstanding vibrancy and finesse. They are also elegant, distinctive and unique, with a balanced in richness and delicacy showcased in the varietal character from which they come.